Free Giveaways! Join 1Sale Contests! •	1Sale.com customers will be able to say using the coupons provided on this website every day of the week. The entire homepage is littered with coupon codes and promotional offers that customers can use on a variety of different websites and through a number of different retailers, with daily deals being refreshed every 24 hours. •	Shop the HOT DEALS section of this website to find out about limited time only deals and offers that usually disappear within about 12 hours. Every one of these offers is time sensitive and limited in nature. 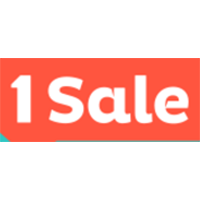 •	The LOCAL section of the 1Sale.com website deals specifically with discounts and offers on services and products available in a customer’s local area. Shoppers that are looking for great deals need to take a look at the 1 Sale website. You can find a variety of different products that have been greatly reduced in price. They have 2 main categories filled with merchandise, the Daily Deals and the Hot Deals. In the Daily Deals section you can browse through electronics, home and family items, fashion and jewelry, entertainment, and kids and toys. The Hot Deals page includes all of the merchandise that is currently available for up to 90% off for a limited amount of time. If you're looking for a specific item, you can use the search bar to take a look through their offered deals. For most up to date offers check out 1saleaday on Facebook and Twitter or contact 1saleaday Support for any questions.